My gorgeous water babies. 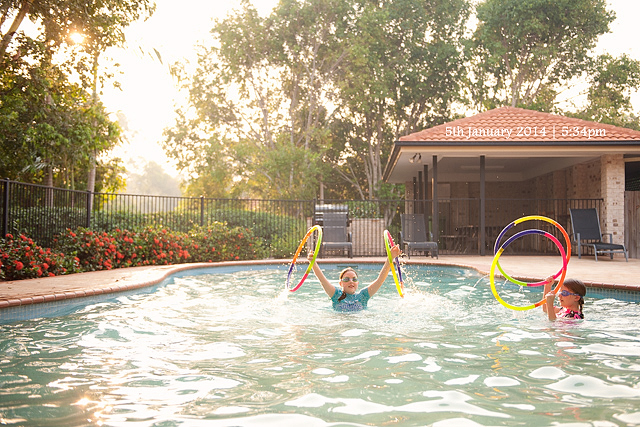 They just adore swimming in the pool and every day spend hours here, cooling off, swimming, making up games together, and making new friends with the neighbours. The perfect end to a Summers day.